These Guidance Notes are intended to answer your questions about the Foundation and its scholarship criteria, and also to guide you through completing the application process for Oxford and Cambridge. The Said Foundation is a charity based in the UK. One of our aims is to promote education and development in the Middle East. To this end, the Foundation offers a number of partial or full-cost scholarships annually to enable graduates to pursue postgraduate courses and other training at Oxford and Cambridge universities. The Foundation will consider applications for one year postgraduate courses and for PhDs/DPhils. From 2011/12, the Foundation will award one or two PHD scholarships a year. These will be of three years’ duration. As the Foundation’s funds are limited and it receives many applications for scholarships each year, the Board of Trustees sets criteria and priorities for applicants. All applicants must meet these criteria. For the academic year 2011/2012, the Foundation’s criteria are as follows. Scholarships are offered for postgraduate study or training only. Applications for undergraduate study cannot be considered. Successful applicants are required to sign a binding undertaking to apply the skills and knowledge they have gained in one of the Foundation’s target countries (Syria, Lebanon, Jordan and Palestine). Applications from candidates whose siblings or spouses are currently being supported by the Foundation cannot be considered. The Foundation awards a number of scholarships each academic year at Oxford and Cambridge. There are no quotas per country and scholarships are awarded on the basis of merit. Each application is carefully considered by the trustees and staff of the Foundation and the best candidates overall are chosen. The Foundation bases its decisions on academic record, financial need, likelihood to succeed in the UK, usefulness of subject to the applicant’s country, motivation, future career intentions, practical ability to make use of the knowledge to be gained in the UK on return to the Middle East and personality. If you are awarded another scholarship and require partial funding, the Foundation is happy to consider this request. The Foundation does not choose its scholars according to how much funding they require but bases its decisions on the factors set out in the paragraph above. Further details on application procedures are found below. Applicants are strongly encouraged to apply online. The Foundation’s Board of Trustees makes the final selection by end of July at the latested. You will be informed by the Foundation or Oxford or Cambridge of the outcome of your application. The Trustees’ decision is final and there is no right of appeal. Please do not use your contacts to lobby for your scholarship application. This will not help, and may harm, your application. After submission of your postgraduate course admission application by the required deadline your application is considered by the university. 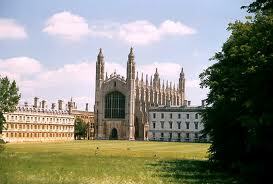 If you are offered a place by the university your application is then considered by the Foundation in London. The Foundation interviews all of the candidates it has shortlisted. Interviews take place in May/June in Lebanon, Syria, Jordan and Palestine. You must complete the Application Form for Graduate Study 2010-11 to be considered for entry to a postgraduate course at Oxford. This form also allows you to apply for Said Foundation scholarships. There is an application fee of GBP£25 for each course you apply for. There are three staged deadlines for applying for a graduate course at Oxford. These are called Application Deadlines and you will need to check the prospectus and application guidance notes to find out the appropriate deadline for the subject for which you have applied. Your application for admission to the University will be assessed by the relevant academic department. If you are accepted your application will be sent to a college for consideration. In order to apply for a Said Foundation scholarship you will need to tick the Said Foundation box in the funding section of the Application Form for Graduate Study 2011/12. There is no separate scholarship application form. This form must be submitted by the appropriate application deadline (see “How and when to apply” above). You must ensure that you apply by the deadline set for your particular course. Please note that some courses may not accept applications sent after January Application Deadline. You will be required to provide full relevant official documentary evidence of your academic performance, including marks or grades, as part of your application. Please make sure you provide any examples of written work (e.g. essays) that are required by your department. Incomplete applications will not be considered for admission or funding. Applicants should refer to the subject entry in the Graduate Studies Prospectus or visit www.ox.ac.uk/graduate/apply for further details. Not all programmes of study require a first degree in the same subject area and will take relevant experience or alternative backgrounds into consideration. Applicants who wish to be considered for graduate admission to the University of Cambridge and for funding offered by the Cambridge Trusts (including the Said Foundation Cambridge Scholarships) for entry in October 2011 must complete and submit the ‘GRADSAF’ application form to the Board of Gradate Studies no later than 1 December 2010 (or the course deadline, whichever is earlier). Applications open on 1 September 2010. The GRADSAF can be downloaded as part of the Graduate Application Pack (in Adobe pdf format) via the website: www.admin.cam.ac.uk/offices/gradstud/admissions/forms. The GRADSAF is available on-line via the website www.admin.cam.ac.uk/univ/gsprospectus/applying/howtoapply1.html. The charge for application on paper or online is £35. You must have completed your first degree with at least upper second class honours or the equivalent and you must provide documentary evidence of this. You must also meet any other entry requirements for particular courses set by the University. Further information on application procedures is available in the Graduate Studies Prospectus. You are strongly advised to study the prospectus closely and choose a college and course that are suited to your needs. Demikian kami sampaikan tentang Oxford And Cambridge Scholarships 2011 from The Said Foundation semoga informasi tentang Oxford And Cambridge Scholarships 2011 from The Said Foundation ini bermanfaat.